Come visit Logan! Your home away from home is walking distance from Utah State University, The Ellen Eccles Theatre, shopping, grocery stores, restaurants, Logan canyon, and the LDS temple. Wondering what to do here? Logan is a popular destination for activities all year long. The Spring and Fall are particularly beautiful times to enjoy Logan. Choose from a variety of activities from cultural events, festivals, sporting events, outdoor activities, charity events, skiing and more! This home is charming and comfortable, 1285 sq. ft., 3 bedroom, 2 bathroom, newly remodeled. Perfect lodging for outdoor activities, wedding guests, family reunions, conferences, university activities, sporting events, or just a nice getaway to relax! On the main floor you will find a full kitchen, living room with cable television, the master bedroom with a queen size bed and large private bathroom and closet. Downstairs you will have access to a laundry room, a large bedroom with 2 twin beds, a small bedroom with a single twin bed and large closet, and a second shared bathroom. Although there is not central air conditioning, summer temperatures in Logan are very comfortable. We also provide a window unit and ceiling fan to circulate air on warm days. We love Logan and enjoy staying in this house often to visit friends and family and for recreation. We appreciate getting out of the city and the smog to enjoy a safe and beautiful town and all that it has to offer. We hope others will have the same experience we do when they visit. This home has the convenience of the city and the proximity of the mountains to enjoy so many outdoor activities. There is something for everyone at any age. Charming older home that meet our needs. The only thing we didn’t like was dining conversation is difficult at a bar and there was no table. We spent the holidays with 2 couples total. Very comfortable and convenient. Only one queen bed, all others are twins in smaller rooms downstairs. Comfortable living room for hanging out, but no dining table. 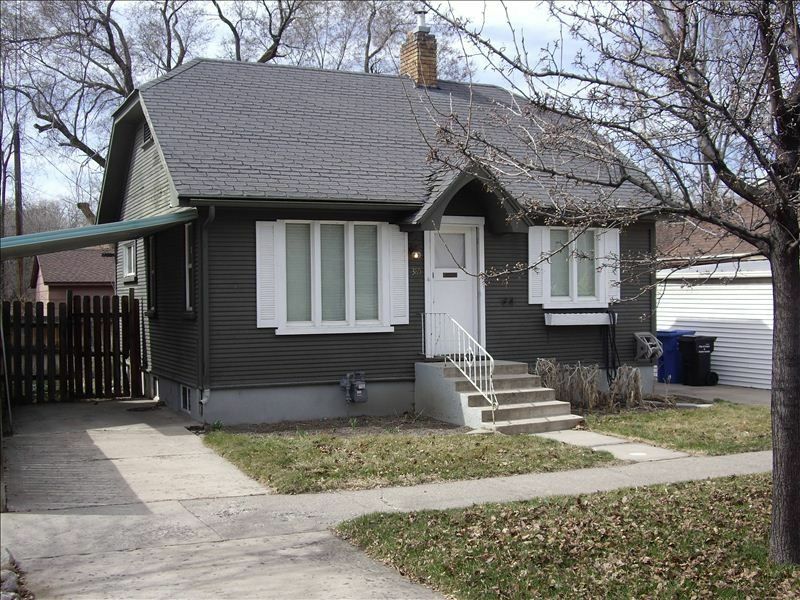 Nicely renovated, cozy home in a great location. This house was perfect for me when staying in Logan to visit family and friends. It was conveniently located, spotlessly clean, and had all of the comforts of home. I really enjoyed having a full kitchen and the laundry room came in handy. The owner was responsive and accommodating. I will definitely be staying here again! Enjoyed our stay here for a Sisters get away . Everything was very nice, with two small exceptions. The sink in the upstairs bathroom drains slow. Also there were no dish towels, or dish cloths to use in the kitchen, this was very inconvenient. Everything else was well stocked. Fantastic rental in a great and convenient location! This house was perfect for our 5 day stay in Logan. Well located to be able to access town but also enjoy the outdoors and the incredible fall foliage. Highly recommended to anyone looking for comfort and convenience while visiting the Logan area. The owners of this property are fantastic, responsive and helpful! We enjoyed a pleasant stay at this home in Logan. The reasons for 4 stars is that the AC is only a single window unit and the front door lock could use more clear instructions with regard to the initial position of the turn bolt. It is not intuitive. We will be staying in the same place next year and hope to remember how to use the lock! Melisa was very quick to respond to any needs. Rates are subject to change until reservation is confirmed. A refundable security deposit of $200 will reserve your stay.